The AATE Awards honor exceptional individuals as well as organizations for the high quality work they perform in the field of theatre with and for young audiences. Recipients represent the best of our field and inspire others with the outstanding work, commitment, and dedication that make us proud to count them among our colleagues and allies. The AATE Awards are presented annually at the National Conference. Nominations information for AATE Awards becomes available in the Winter prior to the year awards are presented. 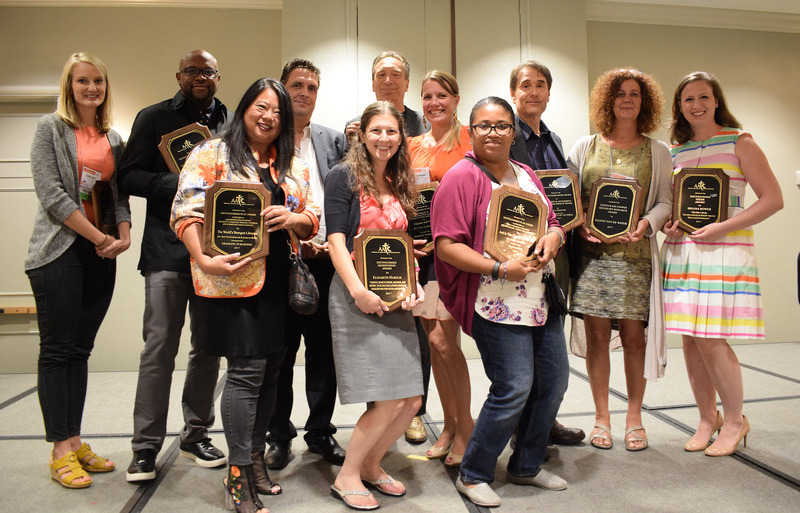 Awards recipients are notified the following Spring, and all awards are announced and presented at the AATE Awards Ceremony, which takes place at the AATE Annual Conference in July or August.